The Cybex Eagle fly and rear delt features dual-direction Zero Slack Drive System that allows both fly and rear delt exercises to be performed from the same position. The machine also offers a synchronised drive which provides dependent motion to ensure that the range of motion is never exceeded and the user feels safe. 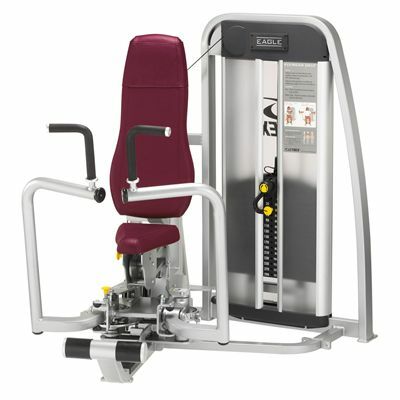 The machine is equipped with automatically adjustable floating input arms and both horizontal as well as vertical handles – all of which are positioned so that the seat does not have to be adjusted going from one grip to another. for submitting product review about Cybex Eagle Fly and Rear Delt.